Even though the economy seems to be rebounding, there are still millions unemployed. After searching for work month after month, it only seems natural to look at other destinations as your future home. But the question remains: Where To? Our team researched data from every county in America with a labor force greater than 100,000 to uncover the best county to find a job. Various factors were taken into account including unemployment rates, income, cost of living, and more. The maximum score any county could receive is 100. Scores ranged from 7.56 to 86.65. See the full results and details on how we came up with our scores and ranked counties in the methodology below. 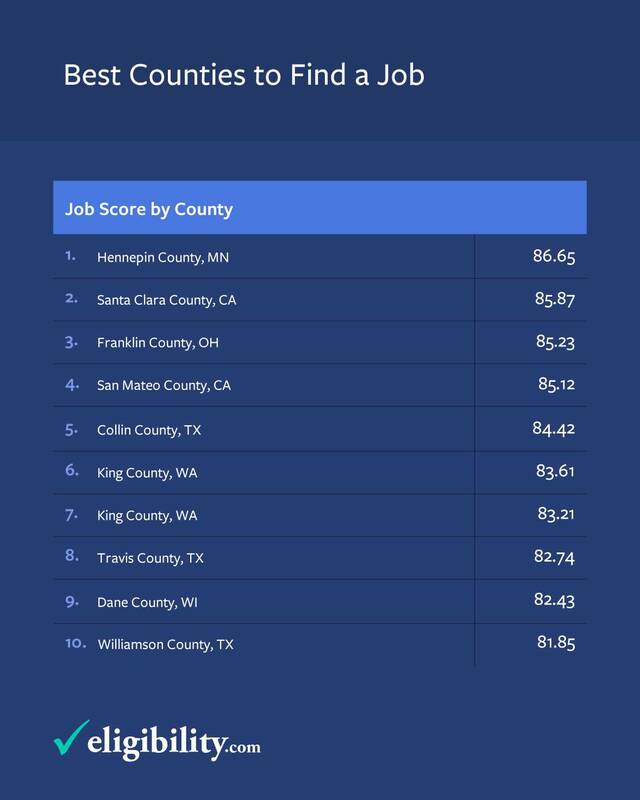 Coming in as the best county in America to find a job is Hennepin County, MN. 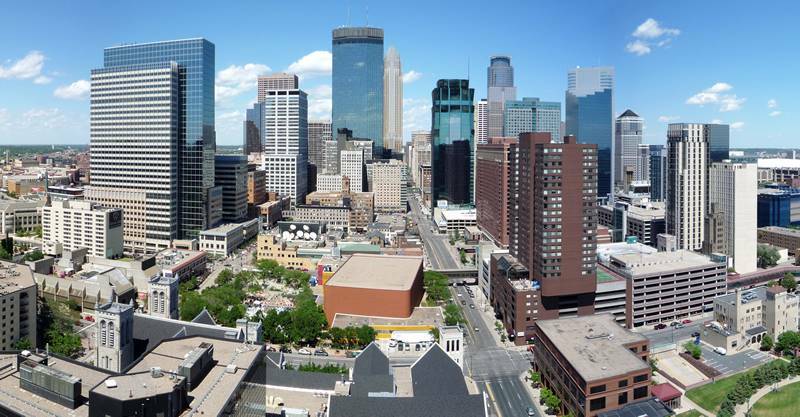 This county, with a population over 1 million, is home to cities like Minneapolis and Bloomington. Highlights in Hennepin County include the Mall of America and Target Field, home to the Minnesota Twins. Boasting an unemployment rate of 3.3% and average weekly wage just shy of $1,200, this county edges out a few others. Lancaster County has lowered their unemployment rate by 1.5% over the past 5 years, yet that was enough to earn them the lowest unemployment rate according to current data. The biggest change over that same five-year period actually comes from Kent County, MI, falling an even 12% from 15.6% unemployment in 2010 to 3.6% unemployment in 2015. Tulare County currently has the highest unemployment rate of any county in our study but has still lowered unemployment by 5.5% since 2010. 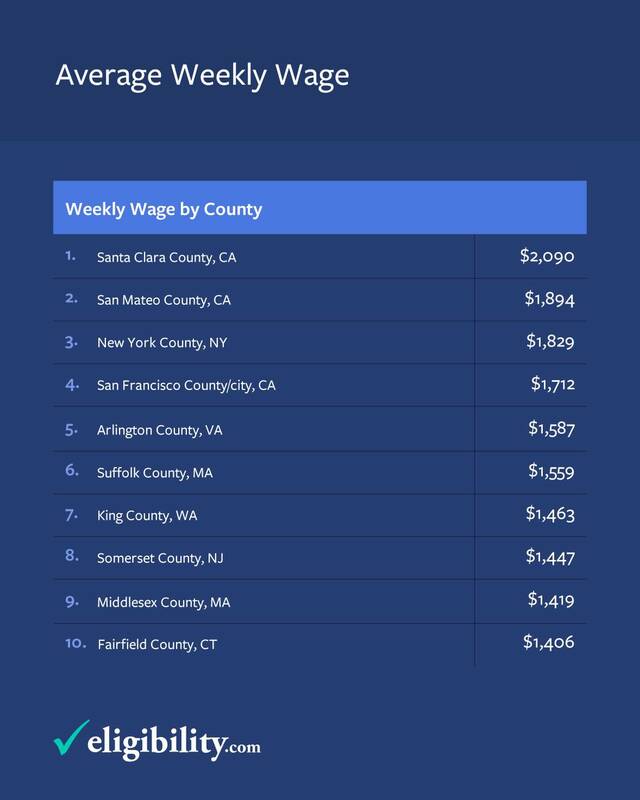 Average weekly income is clearly what boosted Santa Clara County into the number two spot in our overall rankings. 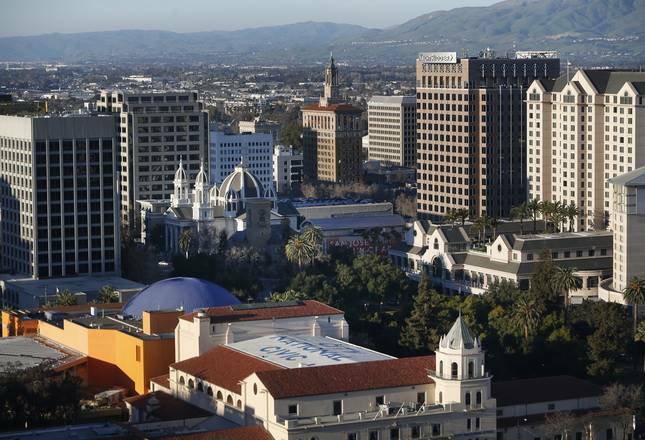 Just south of San Francisco, this county contains cities including San Jose, Sunnyvale, and the city of Santa Clara. Earning over $2,000 per week on average might seem tempting when looking for a job, however, keep in mind that it is also the 11th most expensive county to live in. Unfortunately, that’s the price to pay if you want to chase a large salary in the heart of silicon valley. If savings are what you’re after, consider King County, WA. Residents of the most populous county in Washington earn nearly $1500 weekly and fall outside the top quarter of counties in our study when it comes to cost of living. This county can give you a solid salary while allowing you to save if you’re willing to commute into a big city like Seattle. And that’s not unrealistic, as two-thirds of King County residents live in the suburbs. Ultimately, it is important to consider many factors when you are looking for a new place to live, and the top counties on our list aren’t going to be perfect for everyone. However, if you are looking for a new city with quality job opportunities, considering one in our top counties is a great place to start. 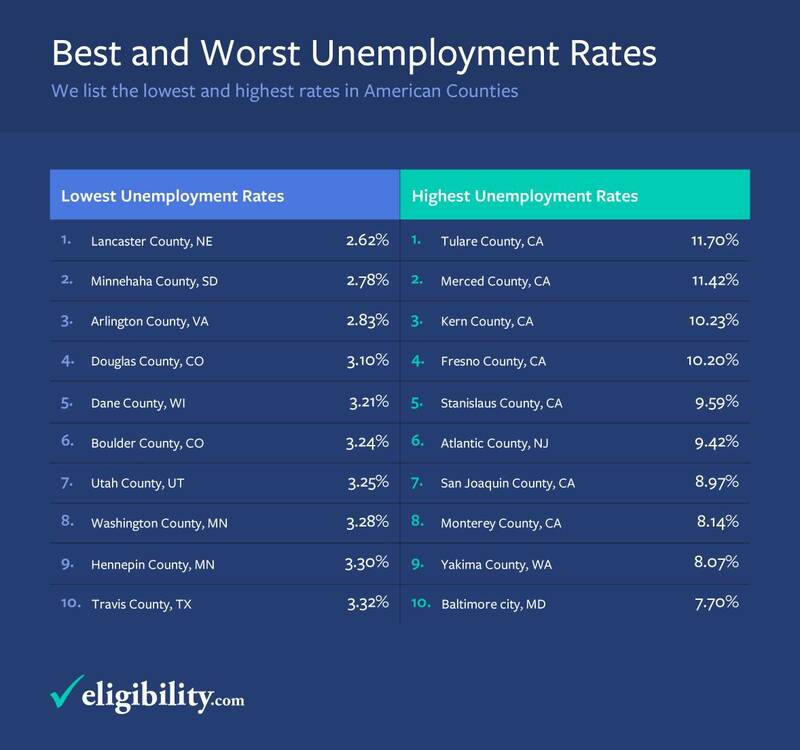 Modest unemployment rates, accompanied by high income and low cost of living make these counties desirable for any job seeker. All United States Counties with a labor force greater than 100,000 were included in this study. There was a total of 314 counties that met this criterion according to 2015 Local Area Unemployment Data. Data regarding unemployment rates and average wages were also provided by the Bureau of Labor Statistics as part of the Local Area Unemployment Statistics. Learn more about Local Area Unemployment Statistics here. Cost of Living was measured using the Cost of Living Index provided by the Council for Community and Economic Research. States were given a score on a scale of 0 -100 based on their rankings relative to one another in terms of current unemployment rate, change in unemployment rate since 2010, average weekly wage (adjusted for cost of living), number of establishments, and size of the labor force. The score represents the amount of points the county received out of the maximum amount of points a county could receive. See all of the scores as well as data regarding unemployment rates and average weekly wages below.